This man, brother Malcolm X lived a complex yet brilliant life to which his growth shows reasons why us as imperfect people will always strive when faced with struggles. I attempted to ponder how my life would had been in the late 50s’ and early 60s’ to the point of confronting the illusion of fairness. I would’ve made me powerless, feeling of dread with a knife at my motherfucking throat (Yes I know how brother Malcolm felt about a man who cussed). He lived in the last of his days totally unafraid of what he needed–had to do. Now I assumed that he had fear, more so of him dying. Through such thoughts he must had ponder about losing his family due to him losing his life. He did it anyway, kept talking, kept teaching, kept moving. Now these words I am about to type or my words and mines alone. My opinions. Malcolm X was murdered by agents who infuriated the NOI (Nation of Islam). This operation was created by authorities from Cointelpro program which was created by J. Edgar Hoover; former director of the FBI (Federal Bureau of Investigation) and monitored by the CIA (Center Intelligence Agency) though some believe CIA took a more “active role” instead of distant observers. Now that does not absolve NOI of any wrongdoing. I believe there were members of the NOI who knew some forces were gunning for Malcolm X’s life and some took a role in causing his death to happen. I don’t know if Elijah Muhammad had any knowledge of such a plot or was he the cause of it but one thing is for certain. If he didn’t knew someone close to him did. Brother Malcolm was a true believer of self-determination and freedom for blacks. He also believed in nation building and connecting back to our homeland of Africa. He did not hide words or attempted to lie about his position on things because of a concern to how he would be viewed by other. He simply I believe did not care but did care for the oppressed people of not just the United States; but the world. His outlook was global, his mindset was for the black man to know stay oppressed but to take control of their lives for their families’ sake and fight back against at system that was never designed for them initially. This nation won’t heal unless the people force the government to admit to their wrongdoings in murdering citizens to enhance the status quo. –It is just my opinion of course. 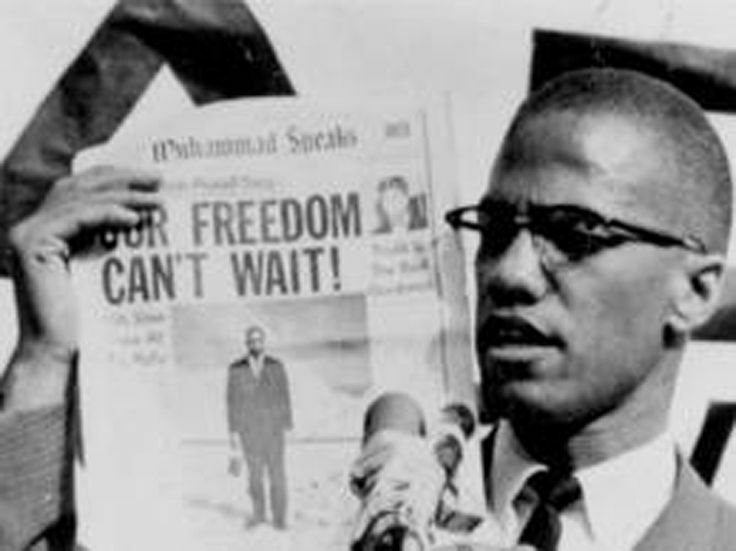 Malcolm X was a fact and a concept that supported true freedom, not an illusion of freedom with the same oppressors switching roles, talking different but the same actions carried less overt (i.e. institutional racism, redlining, desegregate school programs, welfare to work initiative, school-prison pipeline, rise of privatized prisons, war on drugs–you get the message). I can’t say anything else because what I would type would still be small in comparison to his life, but yet I will honor him all the same.